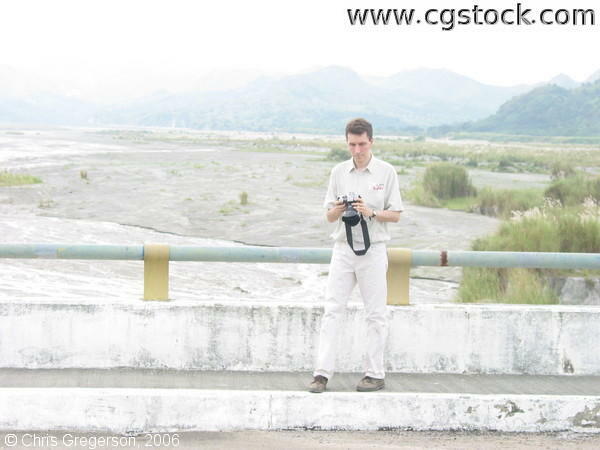 Shown here is a picture of Chris looking at his camera while standing on Sacobia Bridge in Angeles City, Philippines. The grayish material under the bridge is known as “lahar,” which is volcanic ash mixed with water. During Mt. Pinatubo’s explosion in August 1991, many lost their lives and livelihood because of lahar (mudflow).